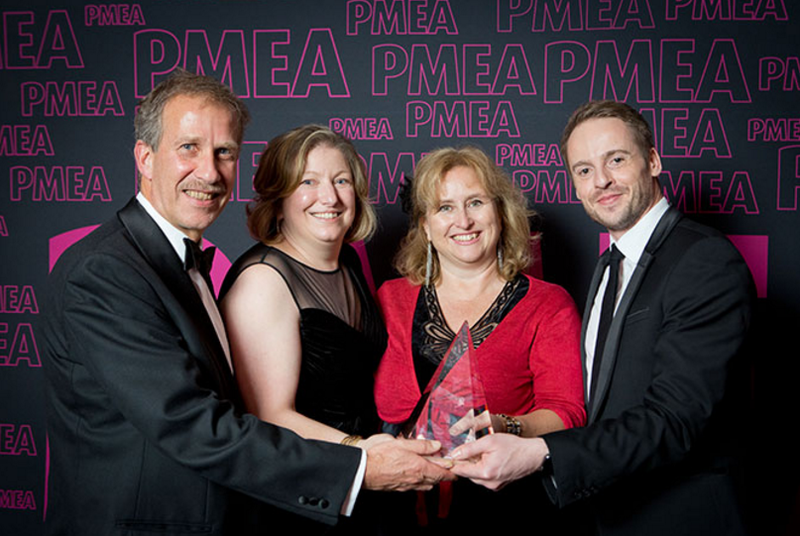 Congratulations to the West of England AHSN’s Quality Improvement team and colleagues from Bayer who picked up a prestigious PMEA award for the Don’t Wait to Anticoagulate project. Designed to ensure patients with atrial fibrillation (AF) at risk of stroke are properly anticoagulated in line with NICE guidance, this joint working project received the ‘inVentiv Health Award for Excellence in Healthcare Collaboration and Partnerships’. The judges said: “This is a fantastic initiative with a complex group of stakeholders. It encompassed the identification of clinical need, thorough evaluation, a pilot study which proved the concept and true NHS/industry collaboration. Bayer’s innovative partnership with the West of England AHSN to deliver Don’t Wait to Anticoagulate is widely recognised as an example of best practice, and the project is successfully helping to facilitate a shift in the way atrial fibrillation is managed in primary care. The aim of the project is to optimally anticoagulate patients with AF to reduce the risk of a stroke with an aspiration to save 200 strokes across the West of England. Don’t Wait to Anticoagulate has already been adopted by one clinical commissioning group (CCG) in Phase 2 and another CCG in the West of England in Phase 3 locally. Due to the success of the project, there is a now a national adoption and spread plan through other AHSNs across the country. Find out more about the Don’t Wait to Anticoagulate project here.